At PDM University, research underpins all our academic endeavours. It enables us to discover, create, disseminate and preserve knowledge. It is our mission to pursue the highest standards of research excellence with the most talented academics, researchers and students attracted from across the India and abroad. Through continued development and investment, PDM University supports a vibrant culture of inquiry and initiative, building leadership and research capacity in scholarship and professional practice.  PDM University is an institution that believes in research that makes a difference. With our strong public mission and a passion for partnership, we have developed an unparalleled place to study and research, where an innovative, open and collaborative culture for scholarship thrives. Our scholars engage in research and scholarship that extends beyond the classroom and around the globe. By tackling some of the most critical intellectual and social issues of the day,faculty and researchers demonstrate their commitment to academic excellence and serving others. Our research centers, programs and institutes explore a diverse range of issues – from the science of drug discovery to dialogue on religious identity – making us a community devoted to understanding and improving the world around us. This classification reflects our commitment to an intellectual environment that is conducive to the discovery and communication of new knowledge.